AIA Pennsylvania Members, please check your inbox for complimentary registration access code. 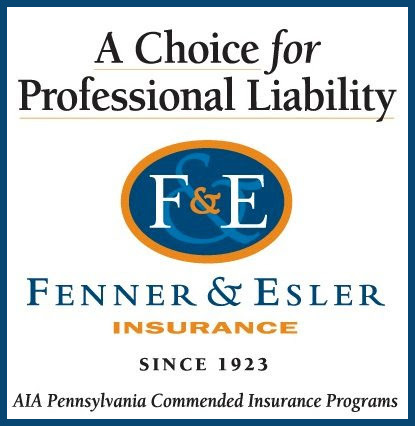 As the Commended Insurance Provider to AIA Pennsylvania and in conjunction with partners, RLI Insurance, Fenner & Esler is proud to present a monthly webinar for continuing education credits to all AIA Pennsylvania members. These webinars on a variety of important liability issues take place the first Wednesday of every month throughout the year. The webinar fees are waived for AIA Pennsylvania members via an e-mail providing a unique access code ahead of each webinar.